The Catholic Women’s League of Canada was organized nationally on June 17, 1920. It is the largest national organization of Catholic women and seeks to unite Catholic women as a community striving for spiritual, cultural and intellectual growth, and the development of social action. St. Leo’s Council was organized in February of 2010. The patroness of the League is the Blessed Virgin Mary under the title of Our Lady of Good Counsel. 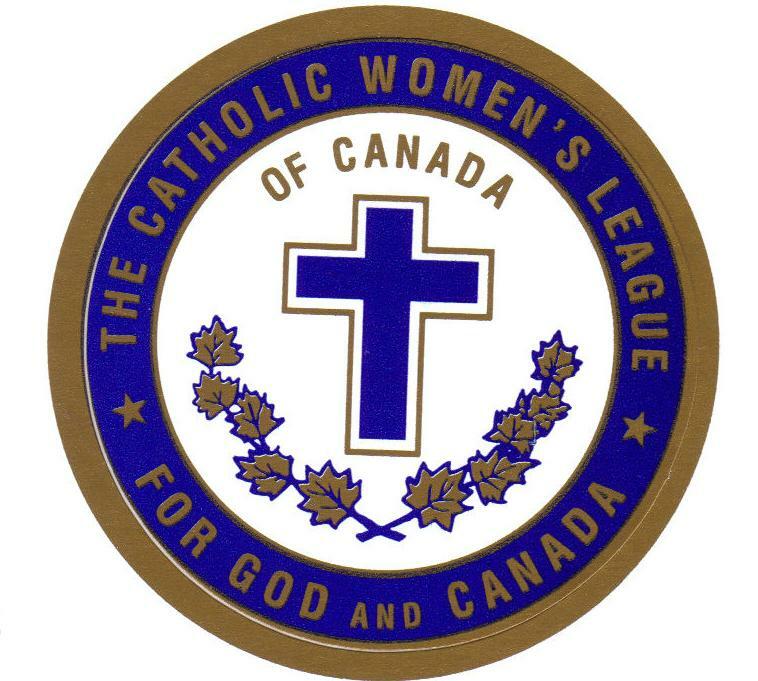 The Catholic Women’s League of Canada is a national organization, rooted in gospel values, calling its members to holiness, through service to the people of God. We are the voice of Catholic women united in faith, promoting Christian values in the home and In the world. We offer hospitality, friendship, sisterhood, support and affirmation that empowers women to reach their full potential. We provide faith based opportunities for spiritual growth, leadership development and many avenues for service, advocacy and social justice. As Catholic women, we are empowered by the Spirit to renew our commitment to the call to holiness through service to the people of God, one in heart, voice and missions as we work to strengthen family values, create sanctuaries of peace and be the Good News to all. Members support Rose of Durham by working at their monthly bingos so that they receive a portion of the profits. Call 905-620-0724 if you would like information about this community service opportunity. Proceeds from euchre are divided among CWL, St. Leo’s Parish and St. Vincent de Paul with each group receiving a third after expenses. Please support this event by attending, working or donating. (Call 905-620-0724 to find out what you can do.) Note: We need high school students to help and they can obtain their community service hours for school. CWL Recruitment Sunday – October 14 at all masses Any women 16 years of age or older is eligible to become a member. You do not have to be a catholic to join. Fee $25. Why not join today and find out why it’s the best gift you can give yourself? Regional CWL meeting will be at St. John the Evangelist Parish on Thursday October 25, 2018 at 7:00 pm. It would be lovely if 15 or 20 of us could attend. Our diocesan council will be present and the event will be a good opportunity to network and to hear of the fine work of the CWL. The refreshments are always good at these events too. There is tentatively scheduled on Saturday, November 24th a Regional CWL Morning of Reflection. Regional CWL Morning of Reflection Saturday, November 24th . Monday, Sept. 17 7:00 p.m.
Monday, Oct. 22 7:00 p.m.
Monday, Nov. 12 7:00 p.m.
Monday, Dec. 10 7:00 p.m.
Monday, May 29 7:00 p.m.
Members of The Catholic Women’s League of Canada donate $15,154.50 in gift cards to the homeless. At the Ontario Provincial Convention of The Catholic Women’s League of Canada, held July 8 – 11 in Toronto, delegates were invited to donate $5.00 Tim Horton or McDonald’s gift cards, to be distributed to the homeless. The response has been overwhelming with $12,044.50 in donations brought to convention. Thanks to your generosity these have been distributed to 23 different groups and organizations throughout the Toronto Archdiocese, (which includes Orillia, Barrie, Newmarket/Aurora, Oshawa and Whitby, Richmond Hill, Scarborough, North York, Mississauga and downtown Toronto) that minister to the homeless. Prior to convention, an additional $3,110.00 in gift cards was distributed locally by councils, in their communities. Also donated by delegates were toiletry items which were distributed to Covenant House and St Vincent de Paul Shelters. The Ontario Provincial Council thanks members across the province for their generous response to this initiative. Pictures will be posted here soon!